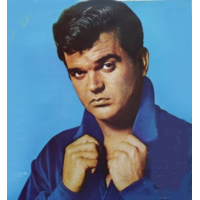 Conway Twitty (September 1, 1933 – June 5, 1993), born Harold Lloyd Jenkins, was an American country music artist. He also had success in early rock and roll, R&B, and pop music. He held the record for the most number one singles of any act with 55 No. 1 Billboard country hits until George Strait broke the record in 2006. From 1971–76, Twitty received a string of Country Music Association awards for duets with Loretta Lynn. A former member of the Grand Ole Opry, he was inducted into both the Country Music and the Rockabilly Halls of Fame.